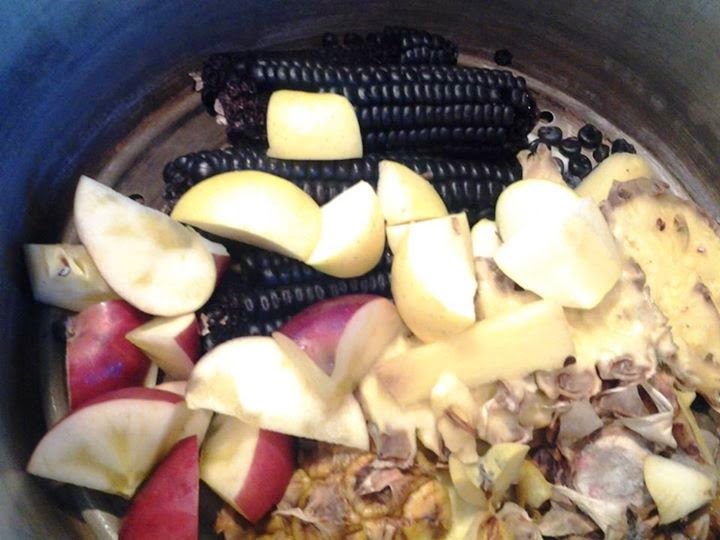 A little bit about the history of "The Purple Corn", it has been a part of the Peruvian Culture even before the Incas, when the territory was separated it into small different cultures, It was also offer to the Gods, it was part of celebrations, it was part of the daily life. Imagine all those nutrients, it might not have had sugar until later, but when is cold you don’t really need it. 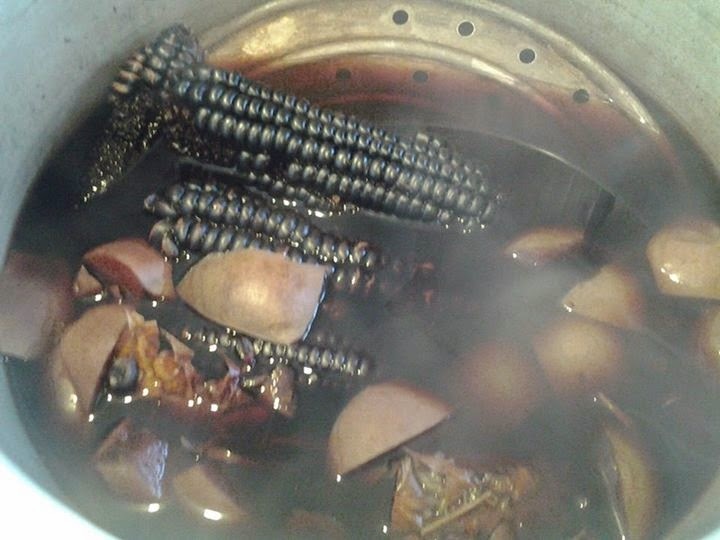 The spices probably came with the Spanish; But Purple Corn has been there for a long time. Folkloric uses, it lowers blood pressure. 2. Wait until the pressure of the pot is all gone and open it, be careful and with the help of a large colander empty the liquid into a large bowl. Put all the corn and fruits back to the pot. 3. Add a little more of apples, the same amount of spices than before, do not add more pineapple, and add 6 quarts of water again. Same as before, close the pot, and when starts whistling, set a timer for 25 minutes. 4. Wait for the pressure to go down and using a colander separate the liquid and add it to the 1st liquid. 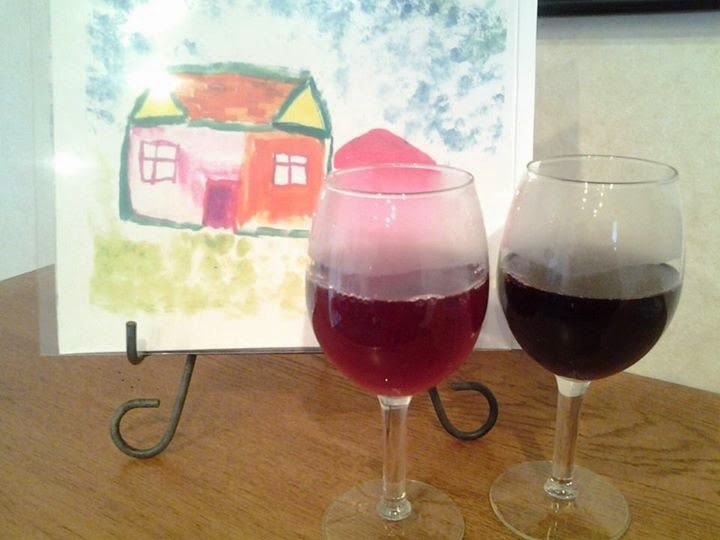 the second liquid is not deep in color but still have a good flavor. Let the liquid cool thoroughly and you might need to use a Chinois to make sure you don’t have particles inside your Chicha. 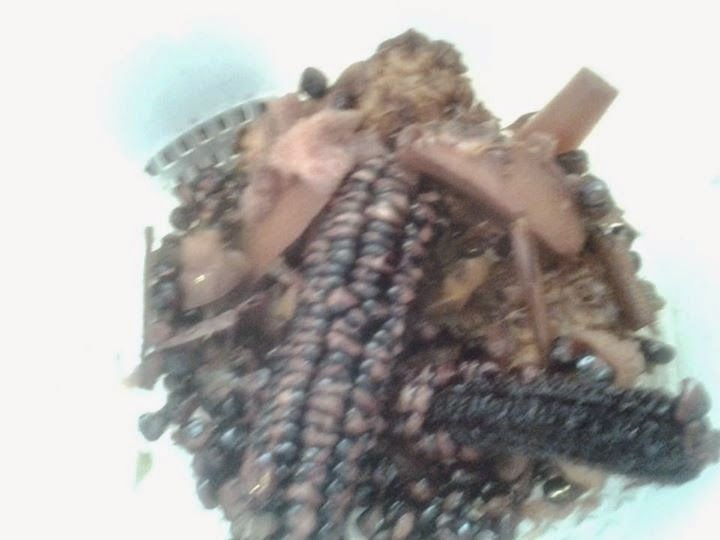 Everything that is left in the pot is trash; but observe the corn, it looks kind of open with some white parts. 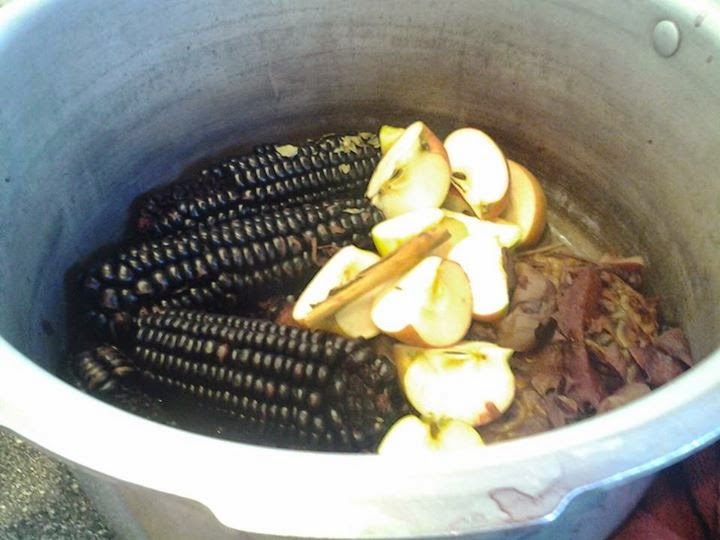 That is how the Corn need to look after you are done extracting the flavor and color. Step 4, this is how the corn will look when his life ended. 6. 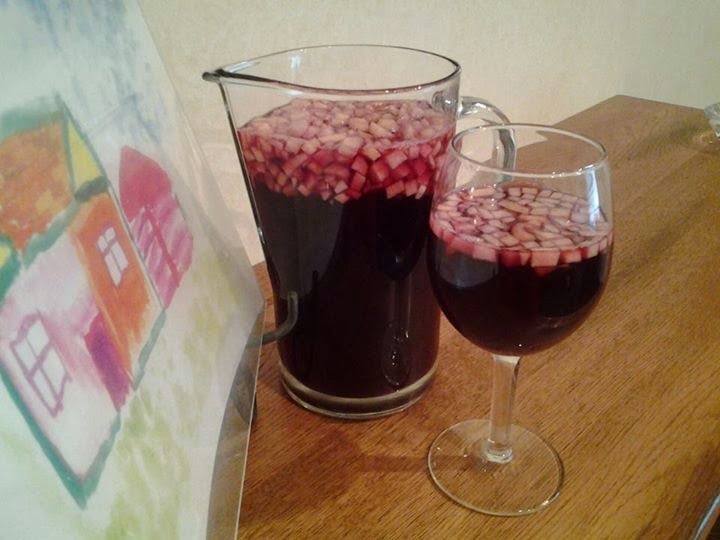 Keep your chicha without sugar until you are ready to use it, keep refrigerate it. For each 3 quarts add 1 1/2 cups of sugar and the juice of 1 1/2 limes, small diced apples are optional, many kids do not like it. The second time boiled liquid is not as strong.